We are not especially impressed by this method. Instead we are convinced that the next generation, our children and their children, simply must be able to speak English. And as close to perfectly as possible! We offer a great opportunity to learn in this way: language holidays in a castle boarding school, because it is always best and easiest to learn a language in the country that speaks it. Every year we really look forward to our time in England. 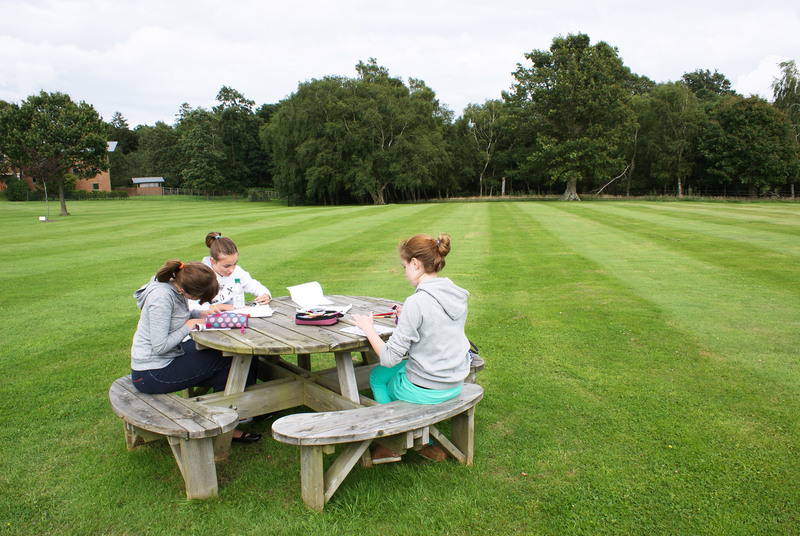 One cannot easily describe the true Benenden atmosphere; you have to experience it yourself. The organisation and planning of the Benenden summer occupy us throughout the year. Wonderful memories begin with new ideas, which we develop and implement with great care. We work out the overall concept and we are fortunate that our children and our team of supervisors take care of the demanding activities. We offer to keep your pocket money safe with us during the course and to manage your personal ‘pocket money account’ in our office. Therefore you do not have to worry about looking after your own pocket money. Experience has shown that the pocket money should be about €150 to €200, depending on shopping mood. Calling home is easily done in the camp: each house has its own payphone and you can buy phone cards in the office. Our office is open every day from 8 am until at least 10 pm. Members of the Obermair family are reachable around the clock, either in the office or on their mobile phones. Letters and packages can be collected from the office. You can find out on our daily ‘message list’ if something has arrived for you. The Obermair private school has collective accident insurance, but we still advise you to take out your own accident and repatriation insurance. You will not need your E-card, because medical treatment in England is free of charge for urgent cases. Dental assistance, on the other hand, is not free and must be paid immediately. We arrange such matters, when necessary, with the parents. The course price includes: registration fees, all transport and excursions, catering on the bus journeys, full board and lodging at Benenden, packed lunches for excursions, material for the lessons, teaching, leisure-time supervision, use of the indoor swimming pool, use of the tennis courts, use of all the sports equipment, all entrance fees and tours and the ticket to the musical. The only extra costs are for golf (around £ 5) and for some handicraft materials. Register now for the language camp!